We focus on creating a healthy community. It’s our commitment to you. Clay County Medical Center’s employees truly make a difference in Clay Center and its surrounding communities. Our employees provide exceptional care for our patients. Beyond that calling, they are also involved in community activities, providing health education, serving on community boards, in civic clubs, faith based organizations and donating their time and resources to those in need. While the childbirth experience is a time to be eagerly anticipated, it can also be a source of anxiety for many parents. Clay County Medical Center wants to ensure mothers have access to the information they need to make good decisions. We also hope to make the birthing experience a very personalized one and desire to have mothers become familiar with the nurses and the facility that will most likely serve their needs at delivery. These programs cover a variety of topics including: signs of labor, breathing and relaxation techniques, pain management, postpartum care, care of infant after delivery, infant CPR and breastfeeding. 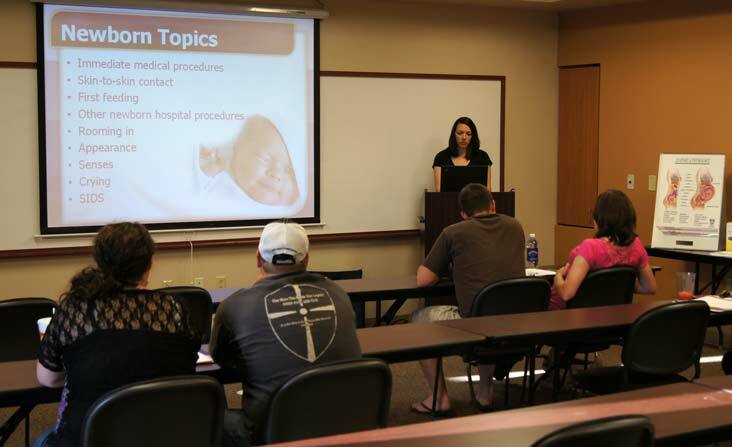 Three registered nurses, who are certified childbirth educators, teach the classes. The hospital promotes these classes by providing a schedule of class times to all physicians who deliver babies. Lunch Bunch is for those 55 years and older who want to stay current on health information and health resources. Health awareness and preventive health care are key factors to living a healthy life. 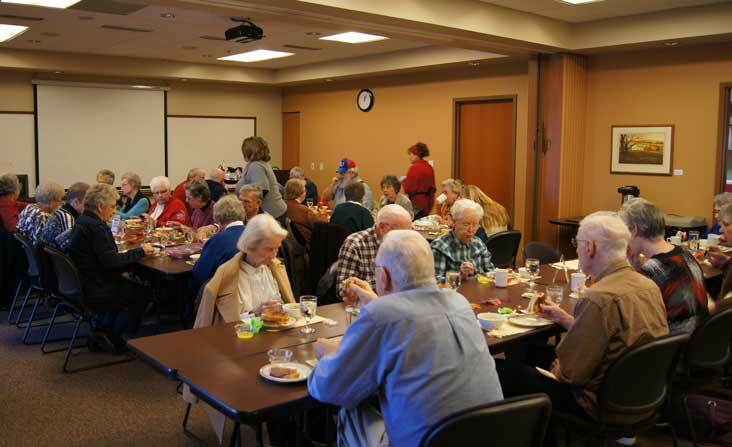 Lunch Bunch provides a forum for socialization as well as entertaining and informative programs. Located in the Education Centers of the hospital, Lunch Bunch meets the third Wednesday of the month except during summer months of June, July and August. Please call for a reservation at 632-3929 ext. 406. The cost of the lunch is $5.00. Being in the hospital can be an unsettling experience. At Clay County Medical Center, we recognize the healing process is multi-faceted and includes the support found in family, friends and those involved in pastoral care. We welcome pastors and other members of the faith community. Their support is readily available to those with or without a church home. If you or your family feels the need for their services, please inform your nurse you wish to see one of the visiting clergy. 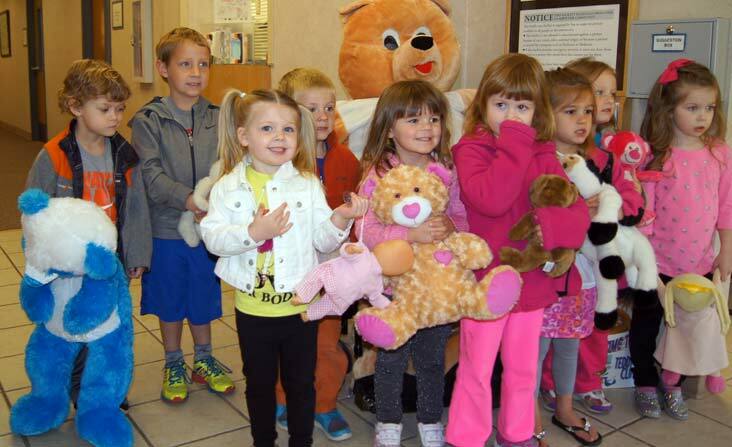 The Teddy Bear Clinic at CCMC is a program started in 2006, designed to help put children at ease when they visit the hospital. Employees in many different departments help make the event a success. Staff from admissions, medical records, nursing, emergency room, radiology, dietary, wellness and administration all cooperate to make the day a success. The clinic "admits" teddy bears to the hospital, and through the use of play therapy, the children use their imaginations in describing mock injuries or illnesses of their teddy bears. Each admission receives an ID bracelet, a trip to the emergency room, radiology, and the Mark A. Chapman Wellness Center.